On 9 March 1997, the Scottish racing driver David Coulthard drove to victory at the Australian Grand Prix in a McLaren-Mercedes. It marked the first win for the Silver Arrows since Mercedes-Benz made its F1 comeback. At the end of 1955, following two world championship titles for Juan Manuel Fangio, Mercedes-Benz pulled out of Formula 1 racing while at the height of its success. 40 years later, it teamed up with McLaren for the 1995 season, and in 2010 Mercedes-Benz finally set up a factory Formula 1 team, MERCEDES-AMG PETRONAS. Since the triumph in Australia 20 years ago, the Stuttgart brand has racked up countless victories and its drivers have won the Formula 1 world championship on a total of seven occasions: 1998 and 1999 (Mika Häkkinen), 2008 (Lewis Hamilton), 2009 (Jenson Button), 2014 and 2015 (Lewis Hamilton), and 2016 (Nico Rosberg). Renaissance of the silver colour scheme: McLaren-Mercedes lined up for the 1997 Formula 1 season with cars painted partly in silver for the first time. 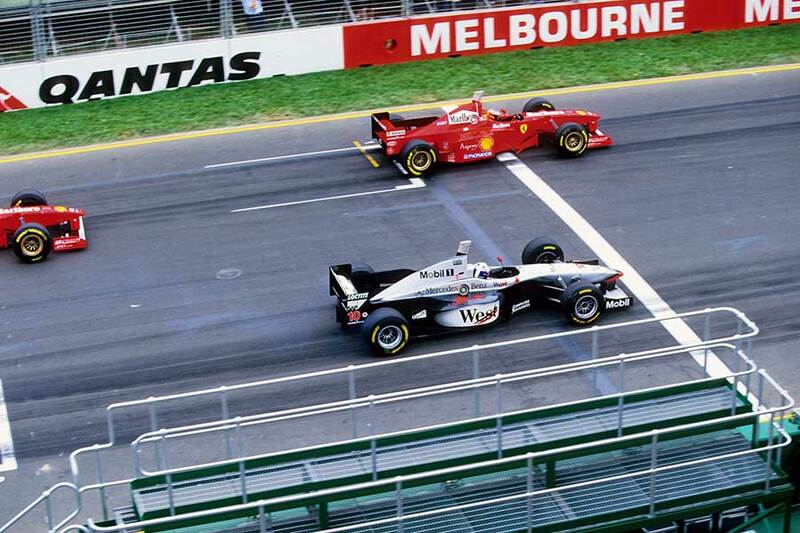 Silver Arrow on course for gold: David Coulthard (McLaren-Mercedes MP12-4, car number 10) leads Michael Schumacher (Ferrari F310B, car number 5) at the 1997 Australian Grand Prix in Melbourne. The Silver Arrows are back: “Silver evokes memories of times gone by” wrote German motoring magazine “auto motor und sport” in reference to the new color scheme of the McLaren-Mercedes racing cars before the 1997 Formula 1 season got underway. 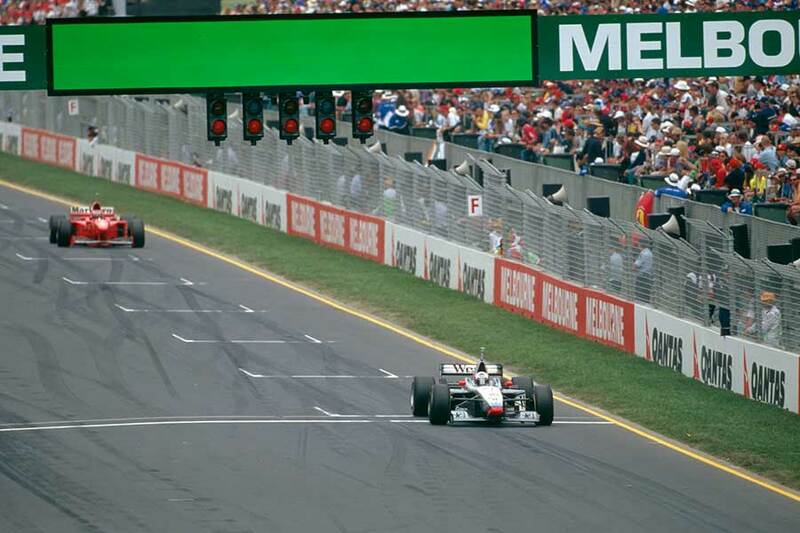 And reverting to the classic racing colors of Mercedes-Benz did indeed seem to bring the McLaren MP4-12 good fortune: on 9 March 1997, David Coulthard won the opening race of the Formula 1 season in Melbourne ahead of Michael Schumacher (Ferrari) and Mika Häkkinen (McLaren-Mercedes).